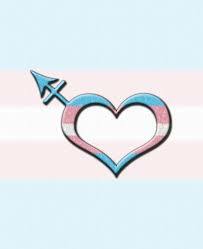 This entry was posted in family, Gender identity, transgender and tagged ally moms, be a supportive parent, jessica valenti, Leelah Alcorn, transgender, unconditional love, we are the world by rozgkeith. Bookmark the permalink. I feel so hopeful for today’s transgender youth to avoid what our older trans population has suffered. I would only wish that a similar awakening could heal the wounds suffered decades ago through the ignorance you are working so hard to put behind us. Thanks for all that you do, not only for Hunter, but for all of our youth. I know it’s a different world today. We still have a long way to go. We are some of the lucky ones. The stories I hear are just heartbreaking…I don’t understand parents, grandparents, friends and neighbors that would turn their back on another human being because of ignorance and close mindedness. Thank you for your kind words. Your rant speaks to me. I can’t count the times we’ve been told what great parents we are for supporting our son. My husband and I both squirm when we hear it. It feels like people are patting us on the back for not emotionally abusing our child or disowning our child. What a terribly low bar to measure parents against. It also makes me uncomfortable because it somehow implies that transgender kids aren’t inherently deserving of love and support – that only superhuman parents could support them?